Hello, happy Monday! Hope you had a wonderful weekend :) Well November is certainly pushing us nicely into winter, can't believe how cold it suddenly has become! This week over at Through the Purple Haze Challenges, the theme is "Winter Scenes with animals or people". 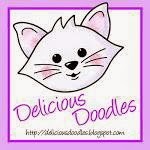 Our sponsor this week is Delicious Doodles, kindly giving 4 digi's to the challenge winner. 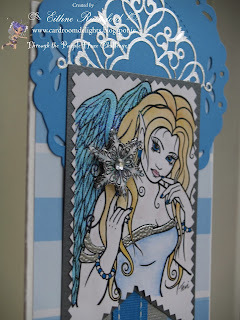 I used a mixture of watercolour paints, pro markers and embossing powder to colour in this lady. I decided to go with a blue and silver look, to portray the ice and snowflakes. I cut out a blue 'doily' with my bigz die, put an outline sticker on it and placed it slightly off the card to the top. 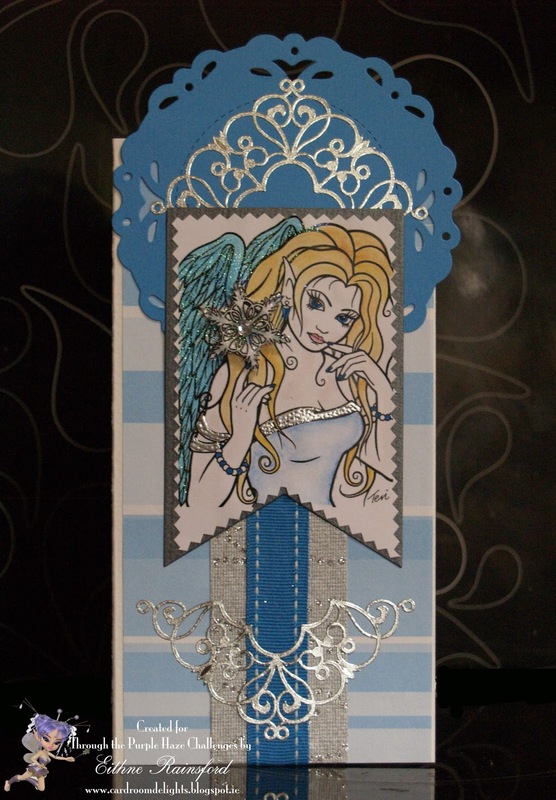 I used some stripy blue paper as the background, and then layered up the centre with ribbon and a silver paper. I used another outline sticker to 'even off' the card. I printed out Angelique onto a heavier card in my local print shop, but as usual did the wrong size! I had the card in my head and didn't work in the size dies I had. The only die that would fit her, was the largest banners die. 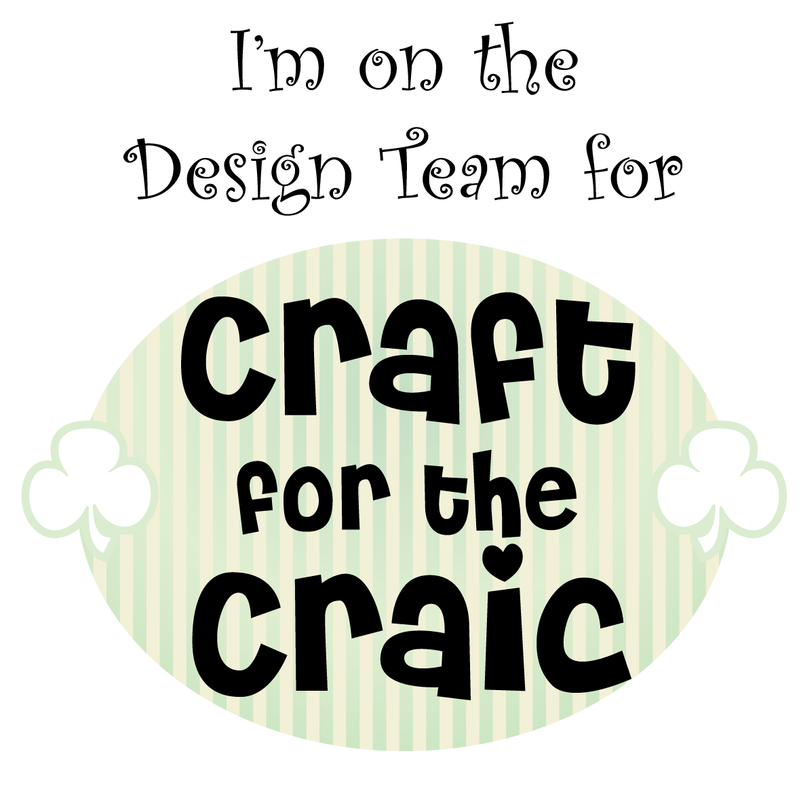 I had no way to layer the image, as the smaller banner die cut off too much of the image. So I cut both the silver backing board and image at the same size, and then got my fabric scissors at the image to make it slightly smaller. 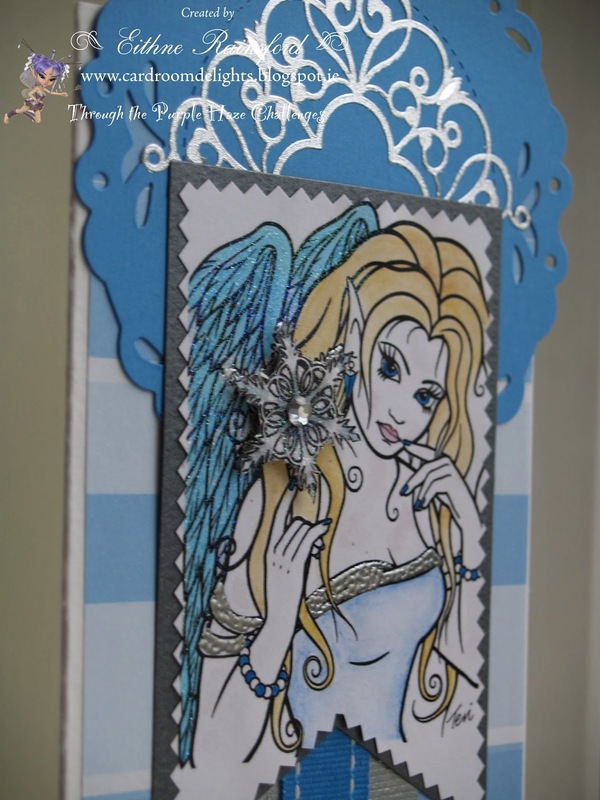 As it was a snowflake/icy image, I wanted to try and portray that on the card. I used some Kaleidoscope Transparent embossing powder on her wings, and used a silver embossing powder around the trim of her top. I love how the finish comes up on the wings! To give the snowflake a bit of depth, I cut out a second one, heat embossed it, placed a gem in the middle and layered it with foam pads. Thanks for stopping by, why not give the challenge a go? I hope to enter this card in some challenges. Fantastically beautiful......its just a wonderful project....and again blue in different shades...just a Wow.. 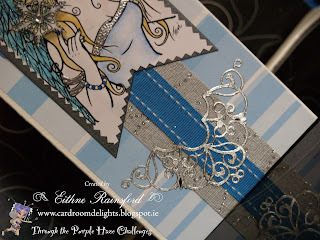 This is beautiful Eithne I love the way you have decorated this fabulous creation. I am a new follower. I have blog candy if you are interested. Beautifully coloured Eithne, and the background layering is perfect. I love the outline stickers- so delicate but as you say evens the card perfectly. 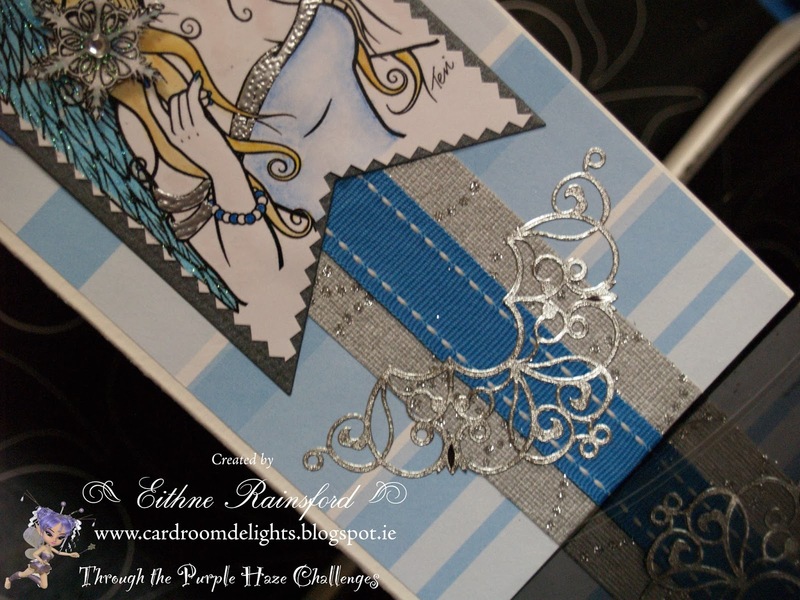 So beautiful, Eithne! I love all the blues and the frosty look. 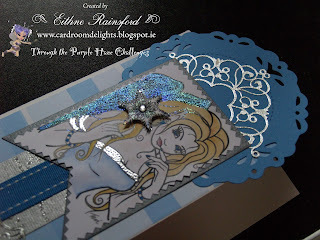 The Delicious doodles image is gorgeous coloured in those cool blues. 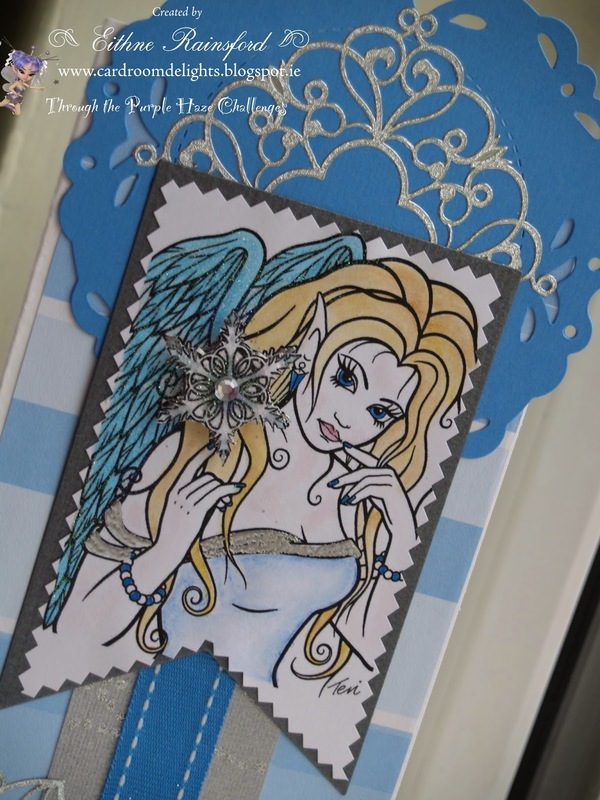 Beautiful icy card Eithnel, many thanks for sharing with us at Smudgy Antics this fortnight. Thanks for joining the challenge at the Cheerful Stamp Pad. Stunning! You've coloured her beautifully and captured the serene feel of winter! Thx for playing with us at Smudgy Antics! Fabulous card, love the different layers and the image with you have coloured so nicely. I think the doily die finishes the whole thing off so beautifully. Thank You for sharing with us at Lady Anne's Challenges. oh wow I love her wings! this is so pretty! thanks for joining us at Smudgy Antics!